Canadian Space Agency is launching a satellite size of a large suitcase to track down dangerous asteroids passing nearby our planet. 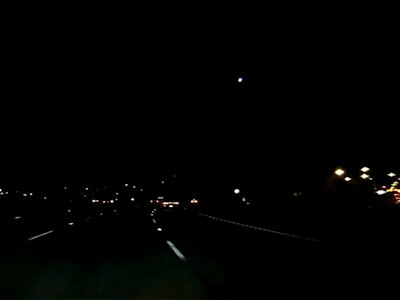 The recent meteor explosion above Russia’s Urals sparked hot debates on how to protect Earth from space threats. The $12-million satellite weights a mere 65kg, but it will be searching space 24-hours a day for objects potentially dangerous to Earth. It is specially designed to disclose objects between Earth and the sun, previously undetectable from the ground because of the bright light of our star. Named Near-Earth Object Space Surveillance Satellite (NEOSSat), the satellite was jointly developed by Defense Research and Development Canada (DRDC) and the Canadian Space Agency (CSA). NEOSSat will be launched together with three other Canadian-built satellites by an Indian rocket from the Satish Dhawan Space Center in Sriharikota, India at 12:26 GMT on Monday. The probe will be delivered to polar orbit 700km above the Earth’s surface, where atmospheric effects will not blur its 15-centimeter-wide telescope. NEOSSat will circle the globe every 100 minutes. The telescope itself is the size usually used by amateur astronomers, but in space it will be much more sharp-sighted in the absence of atmosphere-scattered sunshine. It is fitted with an extended sunshade that enables the probe to search the cosmic space near the sun for asteroids. Earth’s sentinel NEOSSat is actually multi-tasked. It can spot space objects intruding the terrestrial space - be they asteroids or man-made space junk, like decommissioned satellites - locating anything that travels on a trajectory possibly intersecting our planet’s orbit. NEOSSat also monitors the ever-growing number of orbiting satellites. 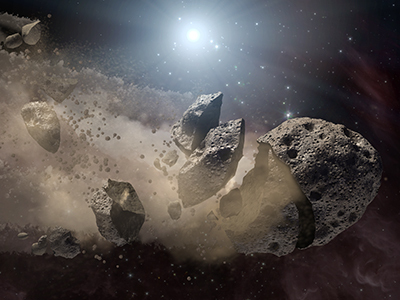 NEOSSat is expected to catalogue at least 50 per cent of previously undetected asteroids from one kilometer and greater within Earth’s orbit around the sun. The greater part of such asteroids has not been found yet. Among the space bodies orbiting the sun is a group of elliptical-orbited asteroids called Atens and it troubles astronomers the most. The Chelyabinsk bolide that caused so much trouble in Russia’s Urals might have been an Aten asteroid. 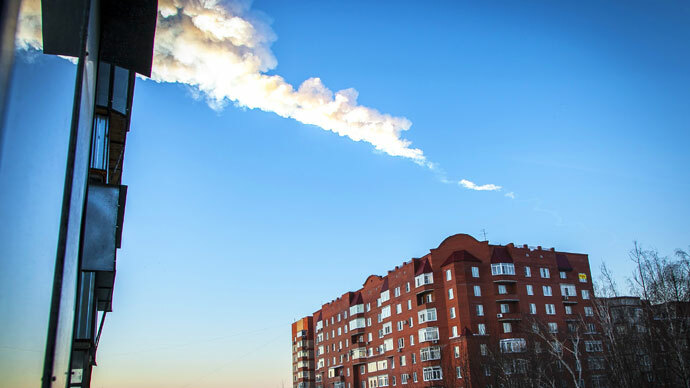 The 500-kiloton explosion of an asteroid bolide above a 3.5 million city of Chelyabinsk in Russia’s Urals has become a good reminder that government just cannot sit idly until another – probably bigger - asteroid impact our planet. 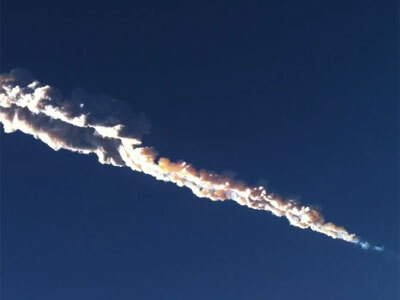 After the Chelyabinsk explosion Russia’s Roscosmos space agency announced tender project of a national asteroid watch, Canadian scientists are elaborating methods to deorbit dangerous asteroids once they are tracked down and their orbit is proved to be threatening Earth. NEOSSat is not the only satellite to be launched with the same Indian rocket booster. 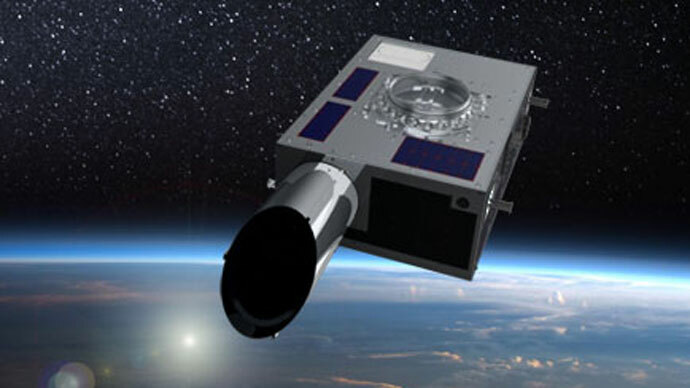 Its payload includes a French-Indian ocean research satellite, a Canadian military satellite, two Canadian-Austrian BRIght Target Explorer (BRITE) nano-satellites with tiny telescopes, a small British satellite powered by a smartphone, and a CubeSat built by students in Denmark. 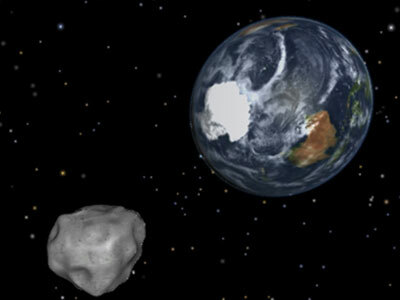 A research group from Johns Hopkins University’s Applied Physics Laboratory is preparing a $350 million project for the next decade to knock the asteroid Didymos off its orbit when it passes close to Earth. The project is set to become the first human attempt to change an orbit of a space body. The study is supported by NASA and the European Space Agency.